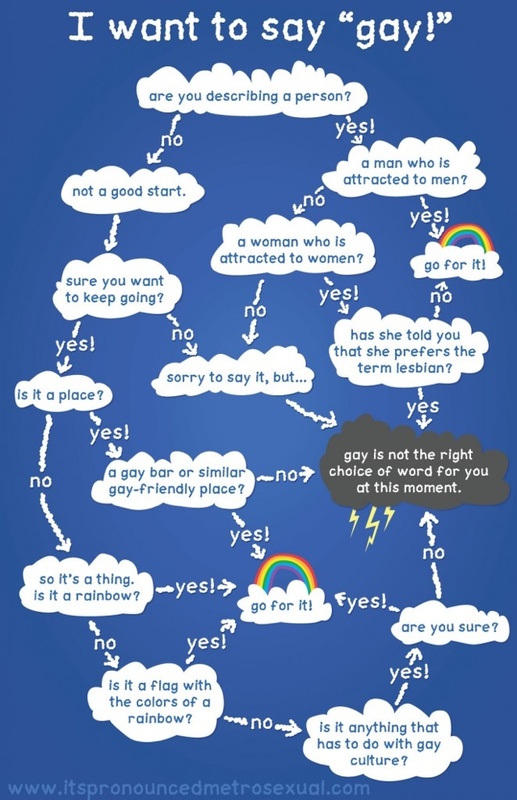 When It's Okay To Say "Gay"
Austin comedian Sam Killermann of It’s Pronounced Metrosexual has created this handy flowchart that shows when it’s appropriate to use the word “gay”. Gay isn’t a bad word, folks. But it gets used that way so often people feel uncomfortable using it correctly. As much as it’d be wonderful to say that homophobia is an issue of the past, it’s not. Let’s continue reteaching our society what it means to be gay. Sam has launched a Kickstarter project to help turn the flowchart into posters and t-shirts.